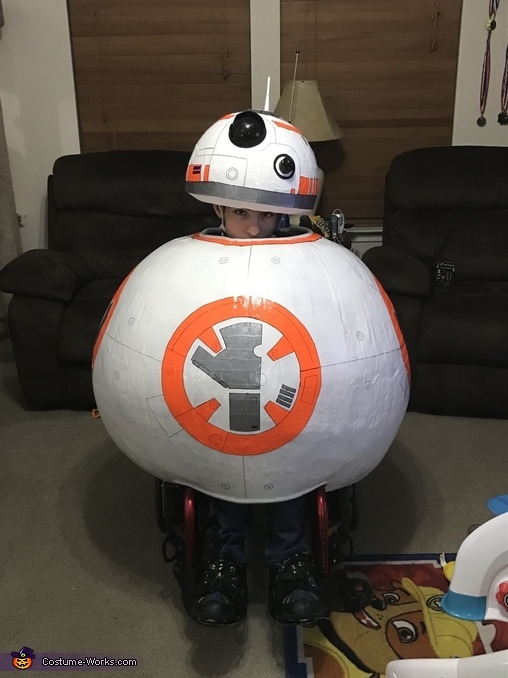 My son who has Spastic Cp was adamant that he be BB8 for Halloween. My mom and I used some beach balls and paper mache to create the body and helmet. We then spray painted them white and then used duct tape to make the details. Over all the costume cost less that $30 to make.